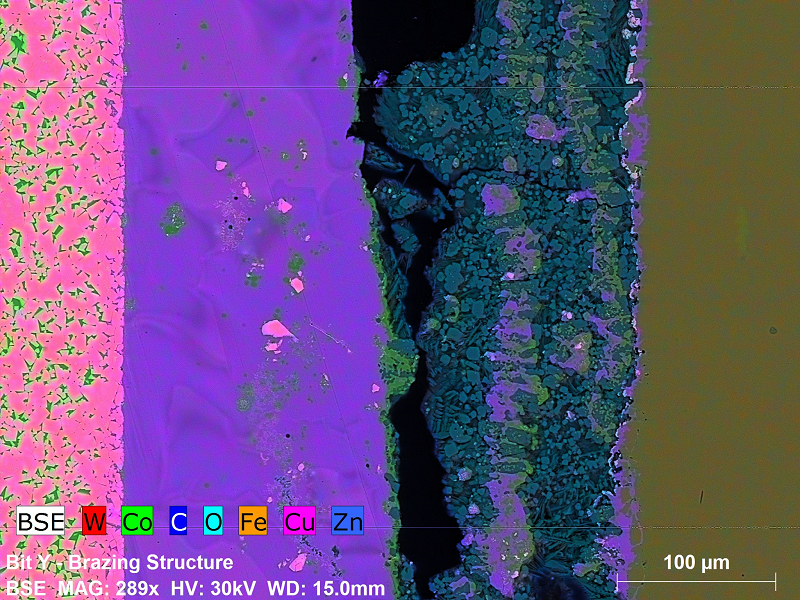 EDS serves as one of the most versatile analytical tools available for general materials analysis. 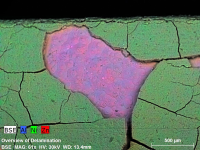 EDS is an elemental spectroscopy technique, which goes hand in hand with electron microscopy. 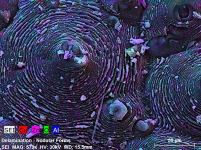 Founded in order to provide quality electron microscopy analysis, Advanced MicroAnalystical has decades of experience in applying EDS analysis to a host of samples. 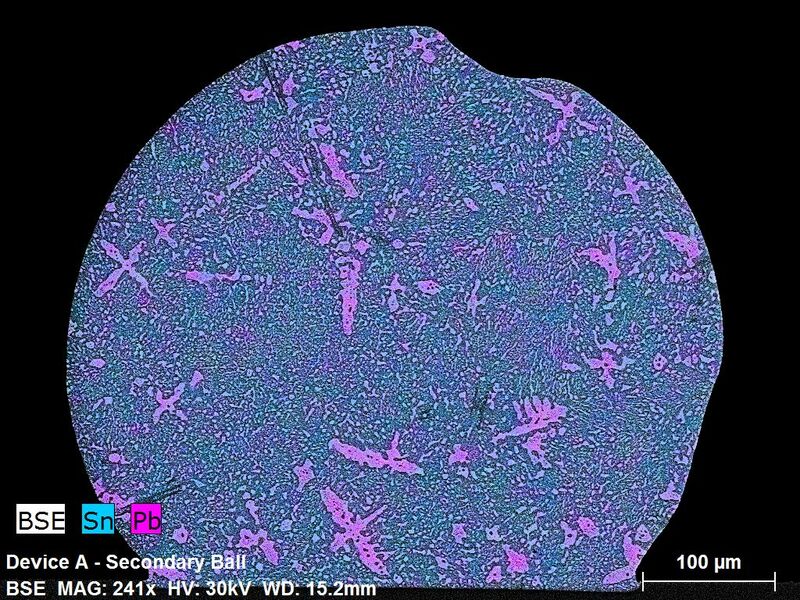 EDS captures and analyzes the characteristic x-rays generated from any material when the intrinsic electron structure in that matter is impacted by a high energy electron beam. Excitation and relaxation of the electrons in the sample generate x-rays, which have discrete energies determined by the orbital structure of each element present in the sample. 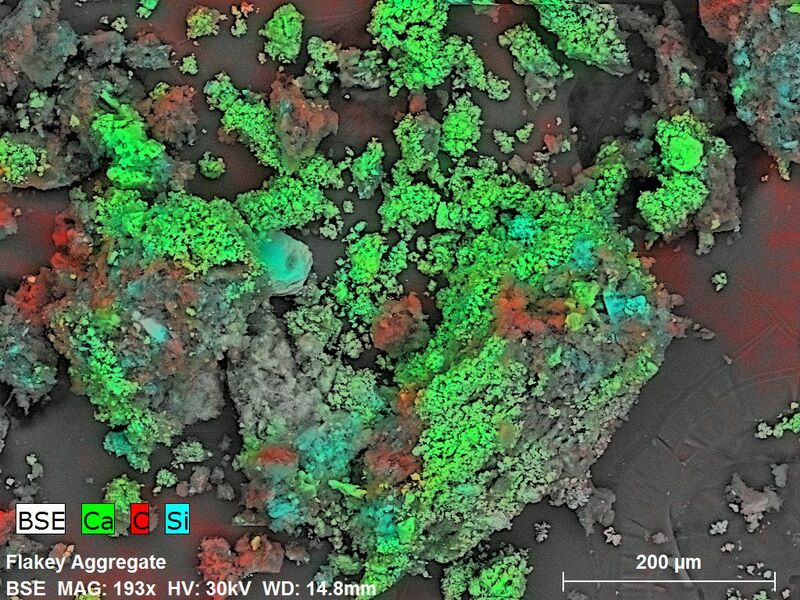 This allows for a fast, effective and precise analysis to determine the elemental composition of any material that can be imaged in an electron microscope in a non-destructive manner. 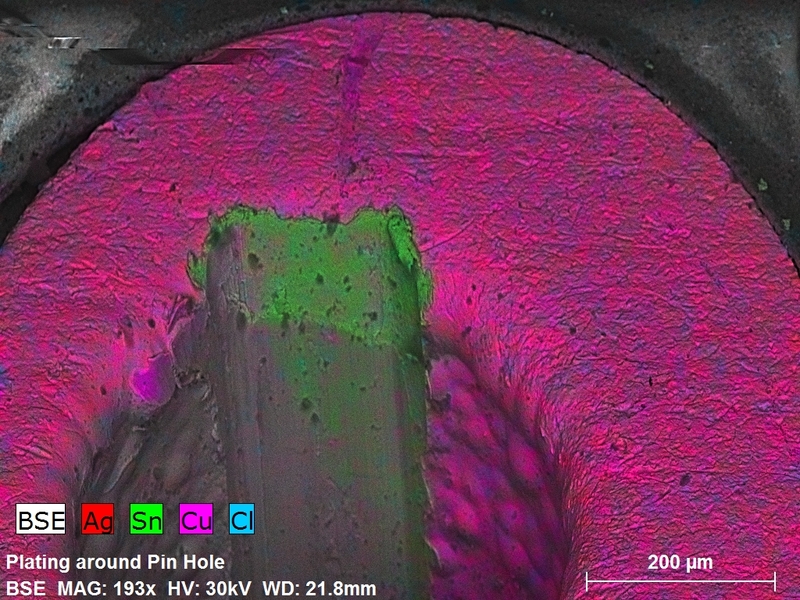 Because of the speed of analysis and the variety of materials that can be tested, EDS allows the scientists at EMSL to add value and insight to a broad variety of samples. 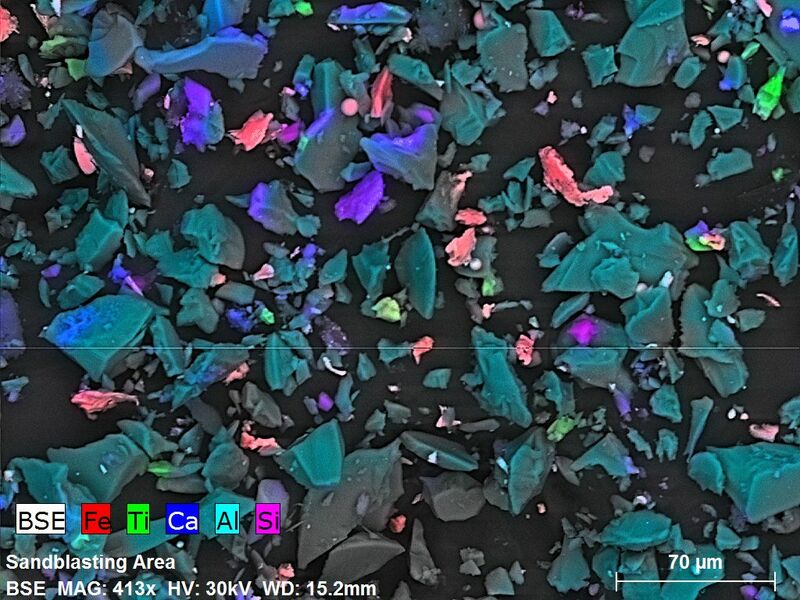 From investigations of environmental dust or air samples, through identification of unknown materials, the lack of a pre-determined target element list means that elements from boron and up in the periodic table can be detected and identified. 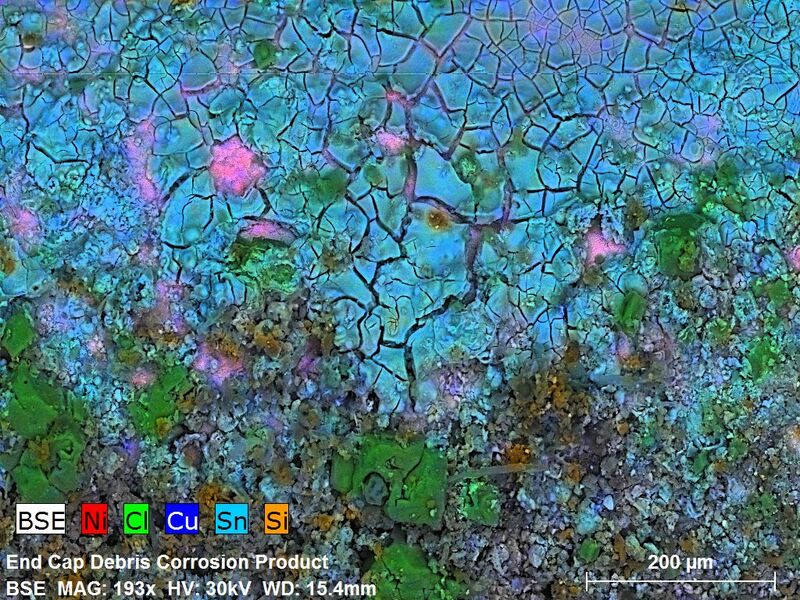 Even in well documented systems, the ability to generate and quantify elemental data from an area at or under a micron allows for trace contaminants, inhomogeneity or variations in manufacturing or R&D samples to be examined with precision. Let Advanced MicroAnalytical’s scientists explain how this versatile and useful analysis method can assist you to solve your problems. 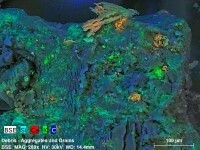 Elemental mapping leverages the compositional precision inherent in techniques such as EDS microanalysis and combines it with high resolution imaging to present complex data in an accessible, visually striking format that assists AMA’s clients by communicating complex information in an efficient and compelling manner. 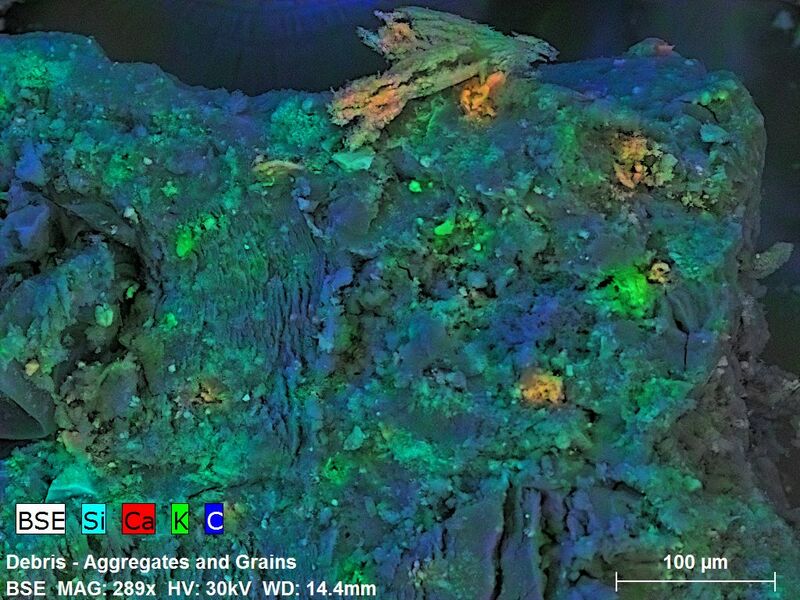 Elemental mapping is based on compiling extremely specific elemental composition data across an area of a sample. 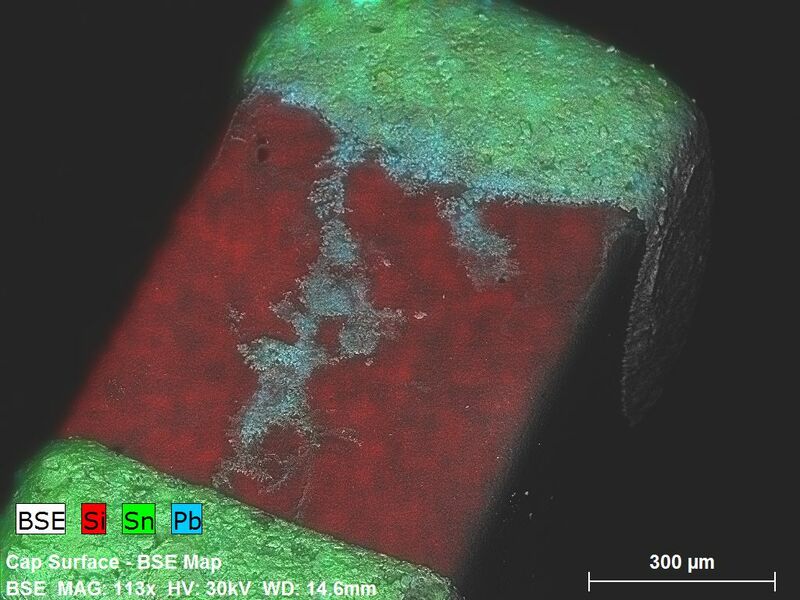 This is typically done in an SEM or TEM using EDS analysis. 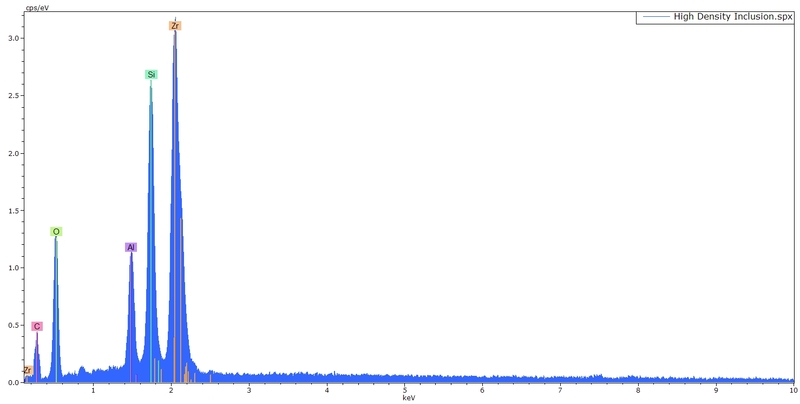 A high resolution image of the area of interest is collected along with the EDS data, and the two are correlated. For every pixel in the digital image collected, a complete elemental spectrum is also collected. 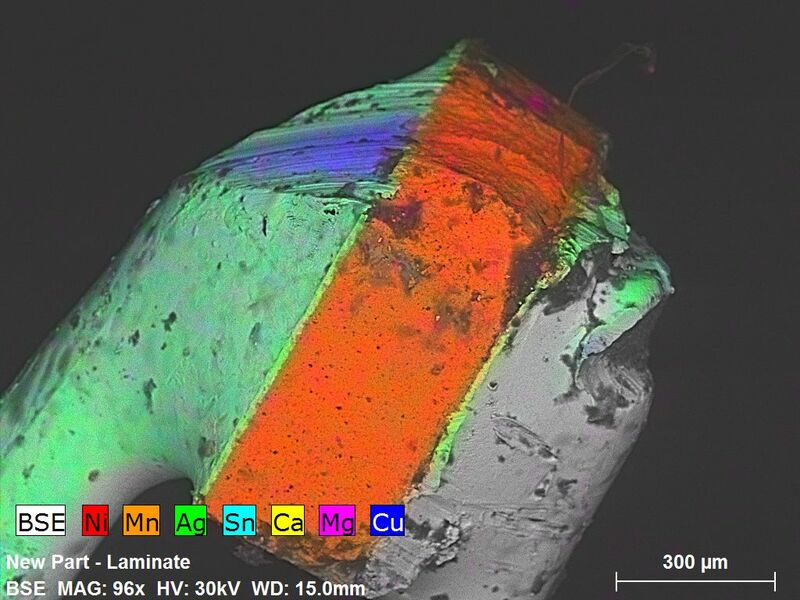 By processing these spectra, the relative intensity of spectral features associated with a number of elements of interest can be translated into computed colorization layers, which color codes the electron photomicrograph signifying layers and sites of elemental compositional information in your sample. 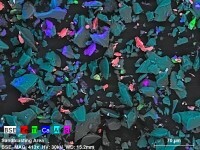 Using this technique, complex systems of precipitates, minerals, composite materials, or laminates can be examined using the chemical information about the materials to create another dimension of insight. 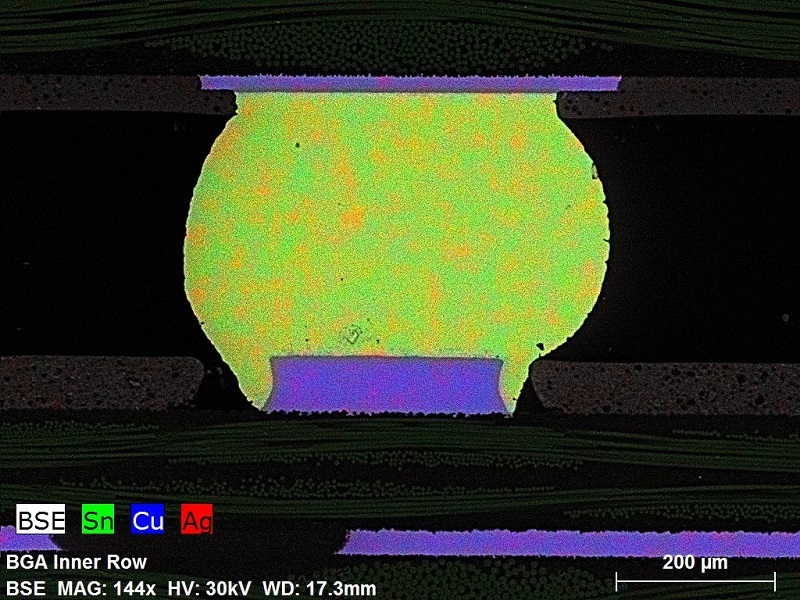 With additional processing, not only raw elemental composition can be used in this colorization process, but unique compositional phases can be similarly colored, or the quantitative composition of a given element examined in a false-thermal map mode. 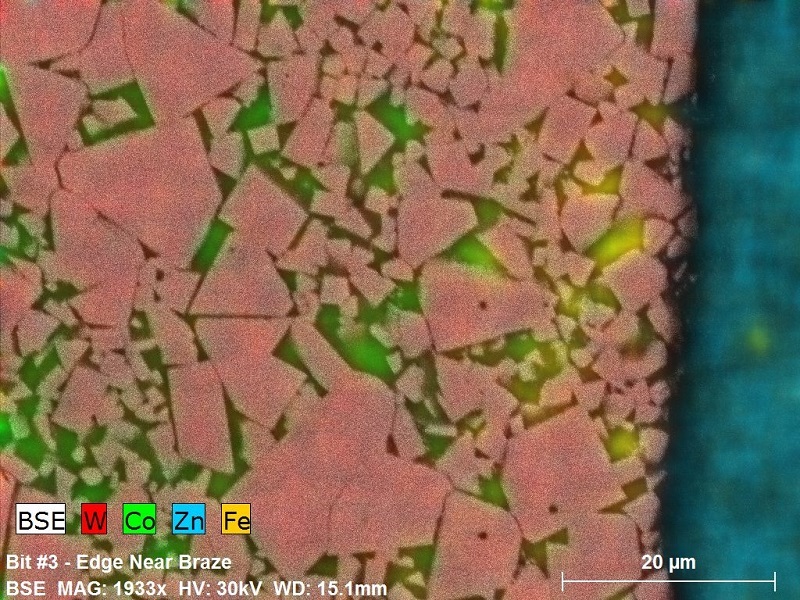 The use of elemental mapping techniques can sometimes be the subject of an entire analysis in the laminate, petrographic, or ceramics industries. However, Advanced MicroAnalytical’s experienced staff of dedicated scientists can employ these advanced techniques to assist clients in highlighting fine features and variations in any complex system present in a sample. Contact us to see how this advanced analysis technique can help you present insights about your samples in an efficient and attractive format.